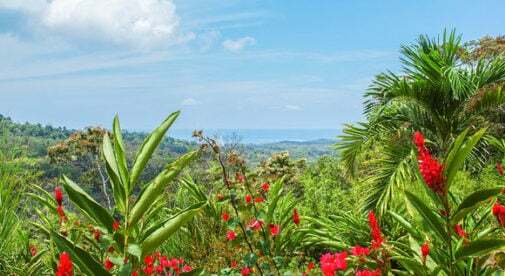 Check any list of the world’s best retirement destinations, including International Living’s Annual Global Retirement Index, and you’ll find Costa Rica near the top. And it’s not a new trend; this little Central American country sandwiched between Nicaragua and Panama has attracted North American expats for more than 30 years due to many diverse factors. Here are four reasons why many retirees think it’s a great place to live. Pack away your winter coats because in Costa Rica the warm weather is year-round. 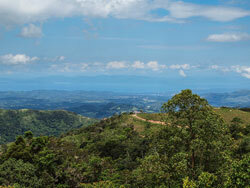 One of the biggest attractions of Costa Rica is the weather. For those seeking relief from frigid winters, the warm temperatures year-round are quite welcome. No more shoveling snow…or bundling up in puffy coats. When you move to Costa Rica you can throw out all your cold weather gear. But even in this small country, about the size of West Virginia, you find a variety of climates. And there really is something for everybody in this country. The coastal areas tend to have temperatures from the 80s to mid-90s, with high humidity in the central and southern Pacific coast areas. For sun worshippers, the northern Pacific coast, which receives the least rainfall in the country, is a prime destination. Perhaps the most comfortable climate in Costa Rica is in the Central Valley. Thanks to the high elevation, from 2,000 feet and up, the temperatures stay in the 70s and mid-80s during the day, dropping into the 60s at night. That’s T-shirt weather all year, though you’ll probably throw on a sweater at night. 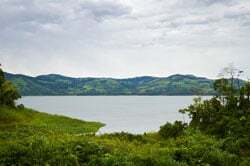 The Arenal lake region, to the northwest of the Central Valley, features a similar climate, although it can be a bit warmer and more humid at times. As far as seasons, there are two in Costa Rica. The rainy season runs May to November, with the dry season running from December to April. Rainy season is marked by afternoon showers which last for a couple of hours, with clear skies in the morning most of the time. You can get a lot of rain at the height of the rainy season—September and October. Most expats adapt well to this time of year, doing their errands and outside work in the first part of the day and staying in while it rains. Plus, the water brings out all the many shades of green in the vegetation. Adopting an easy-going attitude towards life is an important part of living in Costa Rica. Costa Rica’s unofficial motto is Pura Vida. 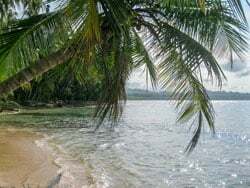 Literally translated from Spanish, it means “pure life.” But a closer approximation in English might be “life is good.” It’s an attitude towards life shared by most Costa Ricans—and it rubs off on expats too. Ticos work to live, not live to work. They value time with family and friends above all. Overtime or not taking all your vacation days—something common in hard-charging North America—is virtually unheard of in Costa Rica. The Pura Vida lifestyle means taking time for what’s important, relaxing, adopting a more laid-back attitude, and escaping from the go-go-go stressful existence you may have had back in your home country. Pura Vida is also a phrase you’ll hear several times a day if you visit or live here. It can mean hello, goodbye, thank you, you’re welcome…if somebody asks how you are doing, you can say, “Pura Vida!”—I’m doing great. A low cost of living ensures that Costa Rica is still an affordable place to live. In Costa Rica, a retired couple can live comfortably on $2,000 a month. And that includes transportation and housing costs, food, medical care…everything. Some couples keep their budget even lower—as low as $1,500 or even $1,200 a month. There are several factors that contribute to this savings, but housing and medical care are two that have a huge impact. First, bargain real estate means that it is very affordable to buy or rent. For example, three-bedroom homes with a view and North American finishes like stainless steel appliances can be found for $150,000. And even ocean-view homes on the Pacific are available for less than $200,000. If you’re willing to keep it simple with a Tico-style home (no dishwasher, small refrigerator, and small rooms), you can pay as little as $50,000. Property taxes are extremely low, too—just 0.25% of the property’s value. So there is a lot of savings in your annual budget there as well. Rentals can be found for $300 a month for a two-bedroom home or condo, though these deals are usually word-of-mouth. You can find these properties through fellow expats, as well as local friends and neighbors. For a high-end, fully-furnished two-bedroom condo by the beach expect to pay $600 and up. And by the way, you can get help taking care of your home at a low price. To have someone clean your house or take care of your yard will run you from $2 to $4 per hour. If you are used to high insurance premiums and ever-increasing out-of-pocket expenses at home, the affordable but high-quality medical care in Costa Rica is a breath of fresh air. Expats pay a low monthly fee based on income to join Caja, and after that they receive free care—everything from doctor’s visits to prescriptions to testing to major surgery. There are wait times associated with the program. But overall most expats report good results. Private medical care is also available. International insurance policies are accepted. But even if you pay cash, costs for surgeries and procedures are a fraction of what they would be in the U.S. For example, a doctor’s visit is just $50; a specialist $80 to $100. An ultra-sound is about $75. For major surgeries like a knee replacement or cosmetic surgery, you’ll save up to 80%. Costa Rica’s close proximity to the U.S. means short flight times and relatively low costs for airline tickets. Due to its location smack dab in the middle of Central America, Costa Rica is close to North America. That means short flight times and relatively low costs for airline tickets (which is helped by the many flights to Costa Rica’s two international airport each day). For example, a flight from Miami, Florida to San José, Costa Rica takes about two-hours-and-20 minutes and will run you under $400 round-trip. Flights from Texas and California are also short and reasonably-priced. With an abundance of affordable, short flights, trips back home—to visit the grandkids perhaps—won’t cost you an arm and a leg. It’s more convenient for family and friends to come visit—and you can bet many will take advantage of you living in a tropical paradise.